The eyes are often the first facial feature someone notices, which means it is important that the skin surrounding the eyes looks as youthful as possible. However, the natural aging process and environmental factors cause wrinkles, folds, and sagging skin to develop around the eyes. These conditions not only worsen as time goes on, but can also affect a person’s vision. Procedures such as an eyelid lift and/or a brow lift can effectively restore an attractive and more youthful appearance to the eyes. 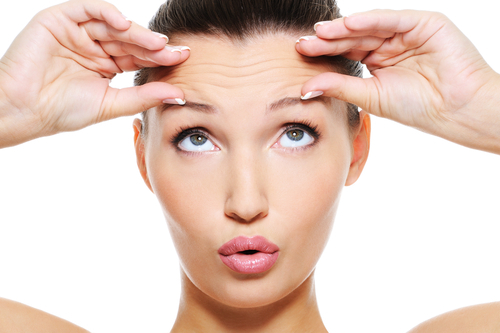 How do I know whether an eyelid lift or brow lift is right for me? Although a consultation with Dr. Dubrow can accurately determine what type of cosmetic eye treatment is best for you, below are some of the differences between these procedures. Also known as blepharoplasty, this procedure aims to eliminate sagging and stretched out skin from the upper and/or lower eyelids. Excess tissues and muscles beneath the skin are also resculpted to reduce the appearance of fine lines and wrinkles around the eyes. The result is a more “alert” and youthful-looking appearance that lasts for many years. Also known as a forehead lift, this procedure targets loose skin and displaced muscle tissue in the eyebrows and repositions them to a more youthful appearance that is long lasting. As a result, the forehead achieves a smoother appearance. At his Newport Beach practice, Dr. Terry Dubrow has helped a vast number of men and women restore a more youthful appearance to their eyes through cosmetic treatment. To schedule your personalized consultation with our board-certified plastic surgeon, please call (949) 515-4111 or fill out our online contact form to get started. We look forward to hearing from you soon!